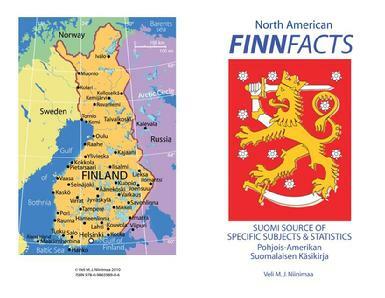 FinnFacts is a small handbook of North American Finnish organizations, activities, cultural pillars and general information. The second half of the booklet introduces the reader to basic knowledge of Finland, outlining the key features, which make up the Finnish culture. The book is intended for those born outside of Finland having only limited background knowledge of the nation and its language, but interested in maintaining their Finnish heritage. This handbook is 63 pages. 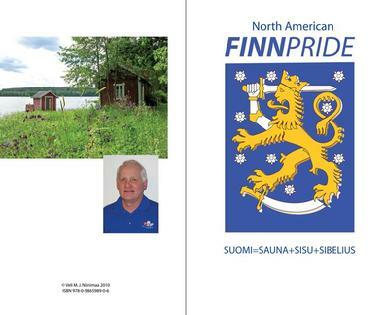 FinnPride is a booklet written about the many outstanding accomplishments by North American Finns and the nation of Finland and some of its leading citizens. We can be very proud of the good name that the Finnish carpenters, loggers, miners, cooks and housekeepers established. As the good work of the silent majority is hard to record, FinnPride focuses on the individual achievements in many different areas such as arts, science, sports, entertainment, business and politics. The book highlights also many successful organizations and corporations. This booklet is 63 pages. There's an order form for these books that may be printed, filled-out, and mailed to the address on the order form. IOR doesn't benefit from the sale of these books - the books are highlighted here due to their strong emphasis on Finnish culture. Click on the PDF icon (below, right) to view &/or print the order form.